I’ve had to use several Arduino Boards for the projects I’ve worked on but none have been as dead simple to use as the Arduino Uno. 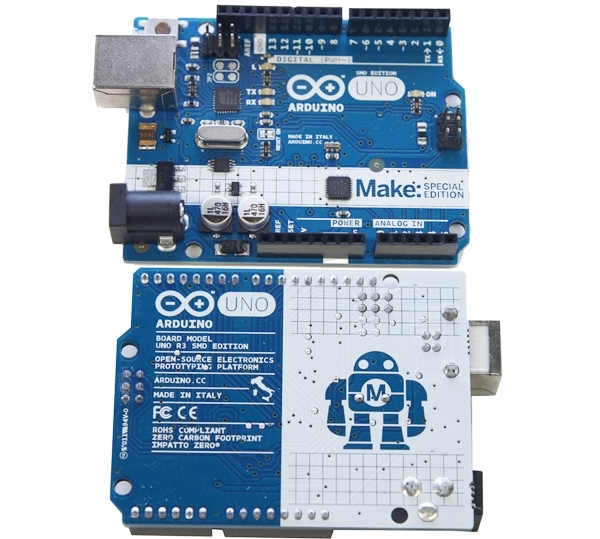 This Arduino is as plug and play as they come and supports the standard Arduino shields you’ll want to use for your various projects. If you’re looking for an affordable microcontroller for your next hardware hack, you can’t go wrong with the Arduino Uno. And the special MAKE edition Uno Rev 3 with Makey the robot emblazoned on it looks pretty cool, too. See all of the Shed picks here.